Joe’s only job is to play the flute? She looks pretty in this style. 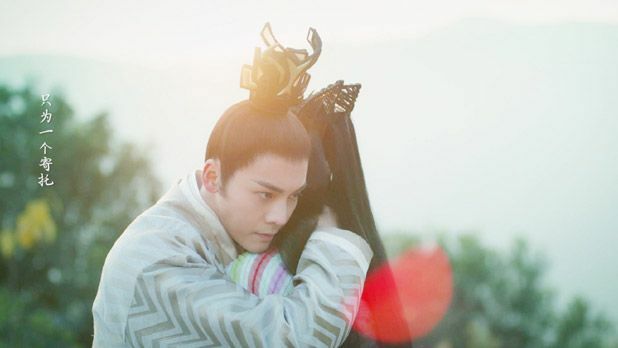 This entry was posted in Discussion Posts and tagged Author: Shi Si Ye, Cdrama, Cecilia Han Xue, Gao Yi Qing, Han Dong, Jeffrey Ji Chen, Joe Xu Hai Qiao, Liu Shi Shi, Lost Love in Times (Zui Ling Long 醉玲珑), Ma Chun Rui, Maggie Huang Meng Ying, Novel Adaptations, Ryan Zhang He, Simon Gong Jun, Tang Jing Mei, William Chan, Xu Jia Wei by Kappy. Bookmark the permalink. The drama isn’t bad. At least the pace is decent and things are happening. If it maintains this rate for the entire 56 episodes, I’m good. The female lead is in the “I can’t love you” stage so OTP chemistry is meh, but a couple of scenes here and there in the previews look pretty good and I think as the show goes on the chemistry will improve. Thank God I do love the pace here too! Although it is also very terrible if you measure how it’s so close to 30 episodes already but how many things happened so far? 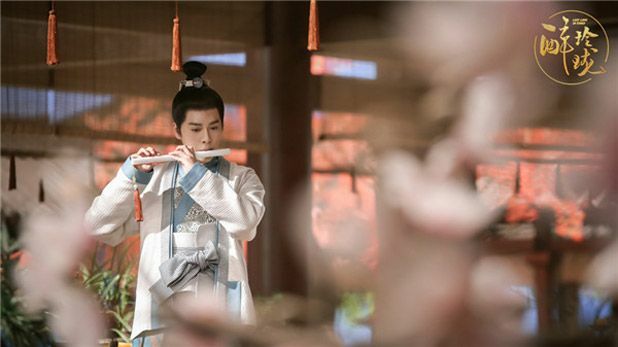 It’s only better than what we can have these days, the good thing is the storyline is not choppy and jumping everywhere like princess agents introducing new characters once in every 5 episodes. I just really appreciate since they can’t promote new faces, they learn to focus on the main characters and give them the screen time they deserve. Or if the goal is not to introduce new face, they must know how to share roles to important enough side characters to exist at all. So far, it is ONLY the princess wei young that did so so so well at both, promoting the new faces and also sharing roles to correct sidekicks: Li minde and the tiny princess. Even Luo Jin and Miao xiao tong were new to me, they were probably not famous before wei young came out. I don’t like Li chang le but she already made her way into some leading roles. In 3L3W, besides YM and Mark, I don’t think any other people got recognition at all (even DLRB was boring), ZBB was handsome but got bad character and no development. 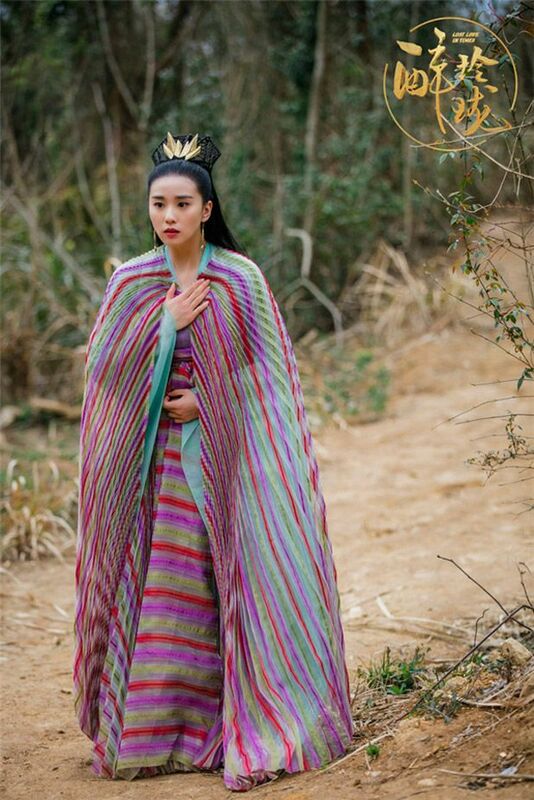 In PA, no other ladies were good (even chu qiao herself was almost unlikeable to some people), and maybe many people liked Li Qin in there but her character also received lots of disturbing criticisms at the same time. 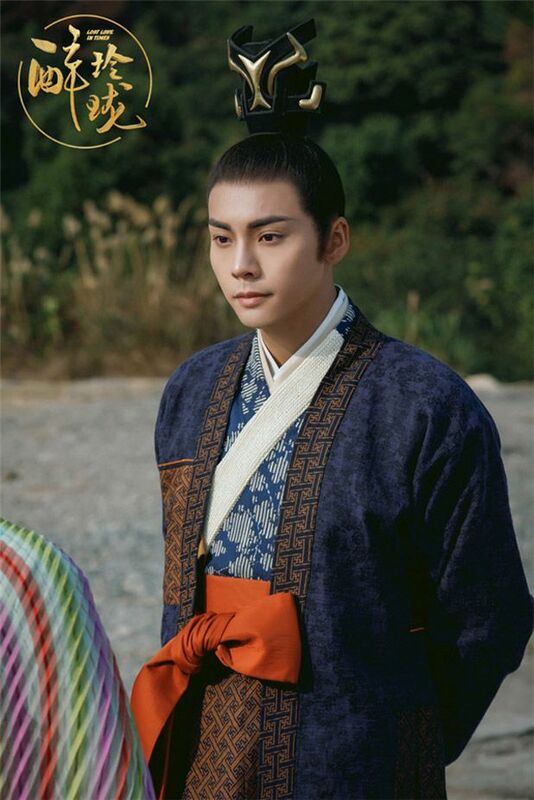 For King’s Woman, my prediction is all the main characters themselves are already in the toughest spot ever, not to mention any side character at all. I think after PA, I have lowered my expectations to the point that any plot development is better than none. I’d argue that LLiT is doing the best job of promoting new faces though. At least, all the princes left an impression on me (very Scarlet Heart-ish). They were good with the casting. The 7th (iffy since he’s not new), 11th and 12th princes are all decent-looking. The female characters are pretty as well. Not breathtakingly gorgeous, but compared to the outrageous plastic faces in PA *cough* it’s on a different level. Princess Weiyoung was a jumping board for both Luo Jin and Mao Xiao Tong to boost their middling careers, but they were pretty well-known already. The only newbie who got exposure was the princess, but there’s no follow-up. Li Min De was just mocked for resembling Wong Cho-lam. 3L3W was actually better than what you said. Dilraba is a legitimate leading lady now for female-centric productions. And Su Jin (Maggie Huang) is in a ton of dramas too. Im still here!! Not so good, not so bad. I gave up on the romance but I really like the direction the plot is going. It’s so different from the source material. Which is good since the novel was pretty bland tbh (dropped it after finishing the first volume). Love this drama, WC is such a cutey lol … Never read the book but did hear it was a happy ending, hoping for the same in the drama.